The internet changed everything because it connected everyone. The next revolution will connect not just people and companies, but machines. The emerging connections between the internet, operations and the equipment we use every day is being called the Industrial Internet of Things (IIoT). Still in its infancy, the IIoT remains a mystery to most managers who have either not heard about it or do not fully understand its importance. In 2018, it is critical that EHS and Quality managers take a hard look at how the IIoT may impact their organization or how they can gain an edge over their competition by becoming an early adopter. This article is a manager’s guide to the IIoT future of every industry. It provides a brief overview of most aspects of IIoT, from implementation challenges to real-life examples. More simply put, the magic we saw in Mark Zuckerberg’s home last year, where everything is interconnected and talks to each other is called Internet of Things (IoT). Bringing that magic to the workplace by making our machines communicate with one another and back to a central system is Industrial Internet of Things (IIoT). 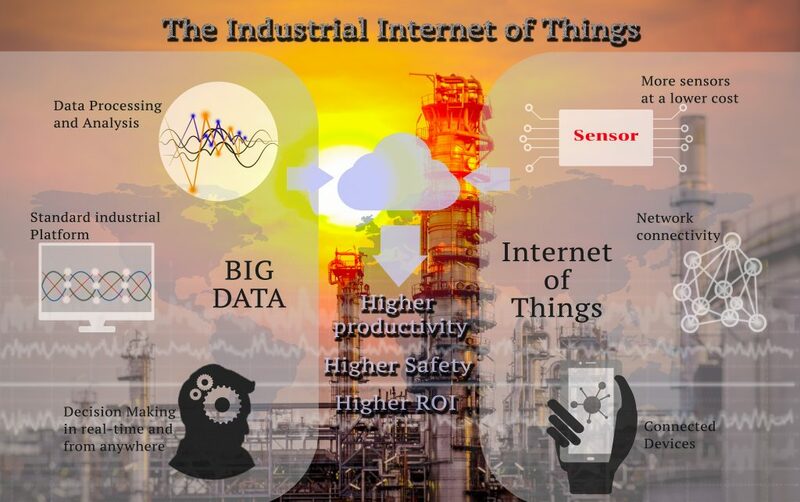 IIoT enables machines and devices instrumented with sensors to interact with each other to provide us with richer data and better insight thus increasing operational efficiency, worker safety and environmental sustainability. Organizations big and small are proactively incorporating IIoT to compete in the marketplace, the heaviest users being Oil & Gas, Utilities, Transportation, and Manufacturing industries. According to the technology consulting firm Gartner, Inc., 43% of all businesses are already using IIoT and by 2020 this number will increase to more than 50% of all enterprises. Last year Manufacturing spent $178 billion on IIoT, mostly on operations. Transportation & Logistics and Utilities followed closely at $78 billion and $58 billion respectively. The former is looking to move up the value chain with advanced communication and monitoring systems with IIoT, while Utilities is using it in smart grid for electricity and gas. IIoT expenditure in all the three industries is poised to grow rapidly in the next few years. 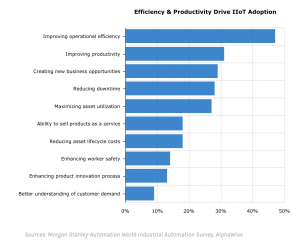 The examples below illustrate how organizations using IIoT are already enjoying the profits of being early adopters. American beer distributor B United is using a GPS-enabled system of sensors to monitor the quality of its beer and cider while it flies around the world in transit. 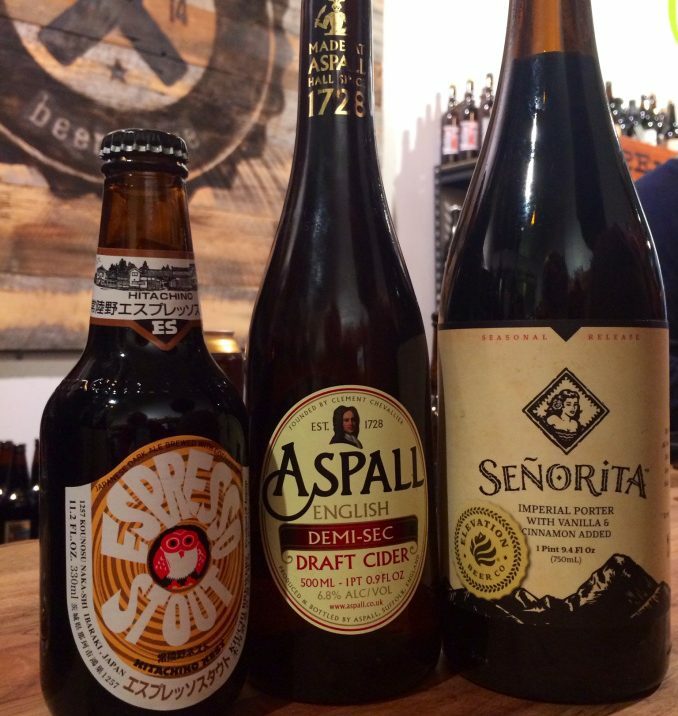 Using satellite technology from Ovinto, it is able to keep a close watch on the temperature and pressure of its craft beer which spoils easily. By fitting the Ovinto sensors in a tank of beer, B United is able to monitor temperature, pressure and location. Because it’s very first trial led to zero waste, B United now installs Ovinto sensors in all its containers. 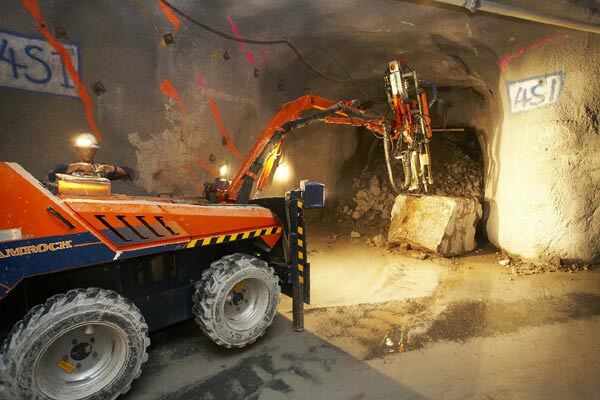 In the small town in South West England, Veolia has equipped a 100km water main and a sewer with monitoring equipment which helps to check water quality and leaks by instantly sending notifications to field workers with connected devices every 15 minutes. Royal Dutch Shell uses high-performance computing and imaging to find oil and gas resources. Using visualisation technology and vast quantities of seismic data, Shell uses IIoT to map out areas rich in oil and gas like a giant MRI of the earth. 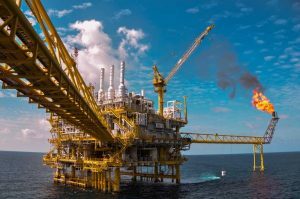 Other Oil and Gas organizations are using IIoT to monitor all aspects of the pipeline – sight, touch, smell, and hearing, to receive immediate feedback if anything goes wrong. Many cities have integrated air quality sensors into existing infrastructure to track air quality in key areas. 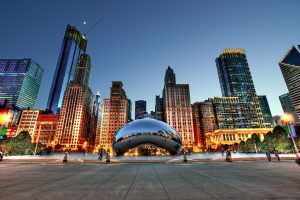 Chicago has deployed a citywide network of sensors on lampposts to track the presence of a number of air pollutants, like carbon monoxide, nitrogen dioxide, ozone, and particulate matter. Chicago uses this data to predict air quality incidents, takes preventative actions, and releases data to the public via the city’s open data portal. Chelopech is an underground gold and copper mine, operated by Canadian firm Dundee Precious Metals. With IIoT, they are achieving several benefits; an increase of production, real-time maintenance, better and cheaper communication possibilities, fast productivity data, better collaboration, fast resolution of issues, and an overview of who and what is where and when. This doesn’t just lead to insights but also adds to miner’s safety. This is by far the biggest challenge for executives and demands an extensive endeavor beyond firewalls like complete re–designing of security architecture. Standards would be essential in IIoT at one point or the other to see if IIoT ‘products’ and solutions are compatible with the requirements which are agreed within the bodies that laid out the rules. There might be a lack of highly specific skills in general but it is necessary to look more ‘outside’ to get access to the right skills. No organization can do it all alone so networks, ecosystems and platforms of partners are extremely crucial to succeed. 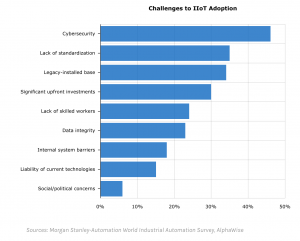 Data integration is another barrier to IIoT adoption. It’s the eternal challenge of moving from data to business value, which becomes clear in the IIoT context. However, data and more specific insights and knowledge in ecosystems of sharing are where the future revenue opportunities reside. Partnerships between OT and IT are crucial and the business decision makers must be involved. Most IIoT experts claim that the business benefits are not clearly defined. An IIoT project starts with an idea, a need or an opportunity that is detected, but the return on investment must be made clear to all the parties involved. This is very often the de facto approach in IIoT projects. Pilots, incremental growth, start small, fail, iterate, go bigger, scale, you know the approach! 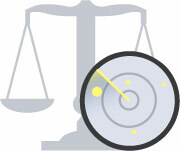 This allows you to see and measure the benefits and adjust accordingly. If you already have the right ecosystem in place, it may make sense to move faster. It is essential to look at security from an end-to-end perspective as there are so many components involved: from connectivity to devices and connected applications. Security by design and embedded security is a must as is involving your information security management teams early on. IIoT is all about big data – and what you do with it: the intelligence, the action, the automation. It’s about the data which you turn into insights, action and automation in your IIoT project and the need to use analytics in order to turn data into these insights, also for data you already might have. The IIoT offers immense potential to organizations to improve operations efficiency, worker safety, reduce costs, and transform the revenue model. It may be in its infancy, but many organizations have already begun the reap returns of their investments. Managers can choose to experiment at a small scale or wait for a while, but they certainly cannot afford to ignore IIoT. It is most likely the next business revolution after the Internet.